The hotel has a delightful atmosphere that is welcoming to all. 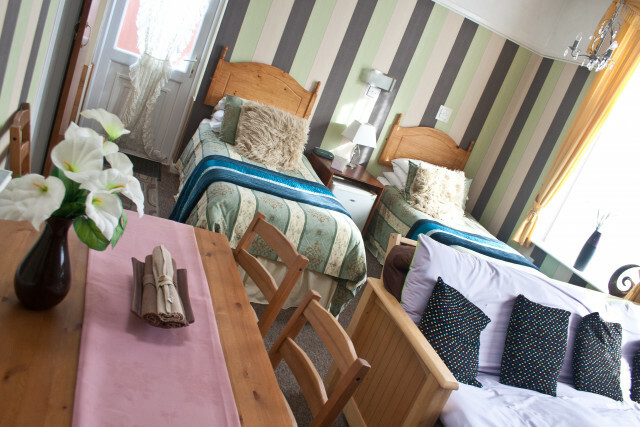 All of our bedrooms have been dleightedly decorated to offer quality accommodation. We have a spacious deluxe ground floor room. Most of our rooms have full ensuites with central heating throughout. Enjoy a home cooked meal in the evening or just come in for bed and breakfast. 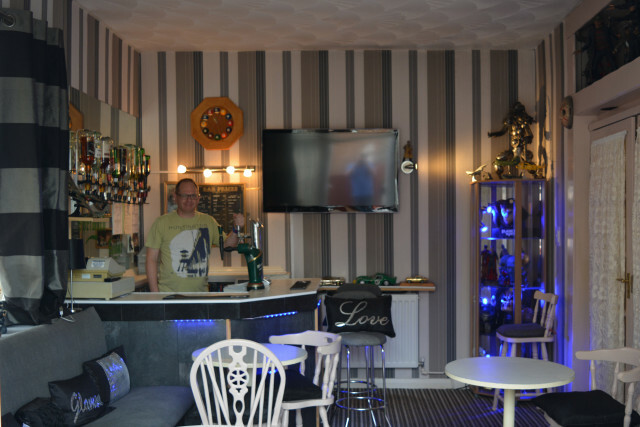 We have a licensed bar with a patio to enjoy a nice drink or just to relax. The Sherwood is located in the residential area of Drummond Road just south of the town centre. The location is ideal for access to the south bowling greens, the beach and all amenities. The town and shopping centre is just a short walk away. Our aim is to make all of our guests comfortable and ensure that they have an enjoyabe holiday whilst staying in our home. We are open throughout the whole year and offer a great package in Novembers Tinsel and Turkey Christmas and New Year.